In a sense, every photo reflects the person behind the camera. 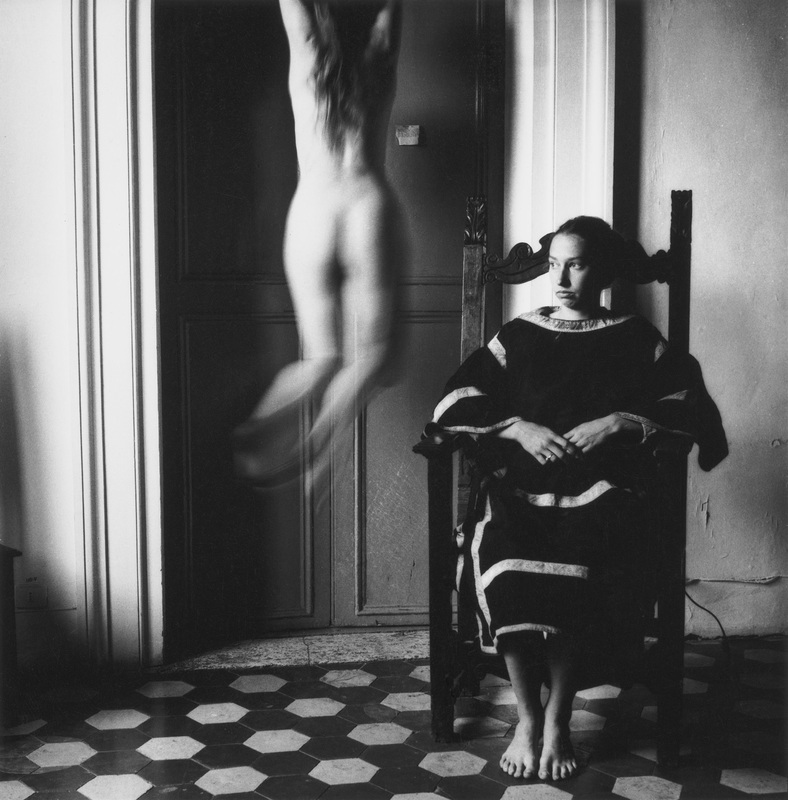 Francesca Woodman (* 1958, † 1981) was a photographer and model, object and subject at the same time. Her photography was her very personal means of expression. She herself can be seen in most of her pictures, often undressed. She stages a dialogue with herself and puts it in reflection to the reality she perceives intensively. There are no details in her pictures that appear to be superfluous. 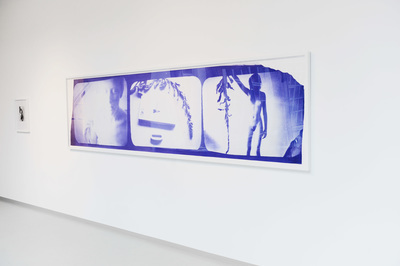 Using her body and the physical surroundings as materials, she created precisely defined images of a particular moment. Abandoned, dilapidated spaces provided a typical backdrop of the mid-70s photographs taken at Rhode Island. Francesca disappears behind the chimney of an abandoned house, while a peek out of the window offers a view at a house on the opposite side. In another photograph, her naked body together with sections of peeling wallpaper appear to be part of a wall. The pictures she took of herself in a nature environment convey the feeling of life as a whole with its finiteness and the interaction of life and death. Francesca Woodman works in thematic series, with respect to certain props, places or situations. Woodman’s pictorial worlds are nuanced and sensitive as well as melancholic, surreal and mysterious as life itself. Her works are personal, but in its depth always touch the broad human existence. Her work largely comprises black and white photographs. In her last year she concentrated on larger images and started working with the so-called blueprints. Blueprints are sometimes also identified as “diazotypes”. Two different methods were employed in her work. 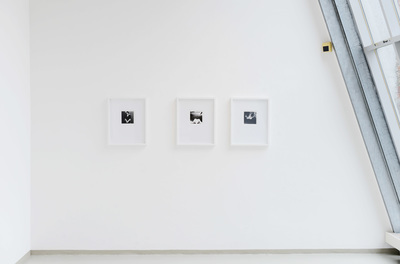 In the first method, she arranged 4 x 5 inch film transparencies of her images on transparent architect’s paper, combined with handwritten text and drawings. Each composition was then printed by running it through a blueprint machine, as if it were a normal architectural drawing. In the other method a large piece of blueprint paper was fastened to the wall of a darkened room. Sometimes she took the total length of a roll of paper which was up to three meters long. 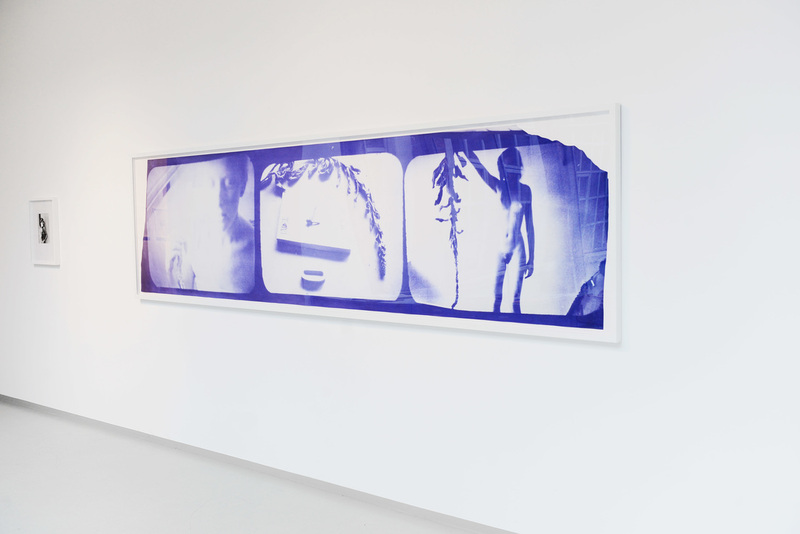 A black and white transparency was projected onto the paper with a slide projector, usually for several hours. The paper was then “processed” by running it through the process part of a commercial blueprint machine. 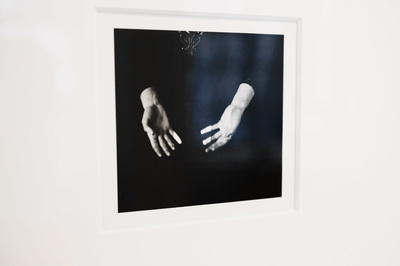 The original diazotypes are fragile and sensitive to light, with most images existing in only one or two prints. The estate prints of Francesca’s diazotypes were made by working closely with a master printer at Laumont Editions in New York. Her original prints are scanned and then produced as archival pigment prints. They are exactly the same size and conform in every respect to Francesca’s original print, both in appearance and spirit. These estate prints have been made in an edition of 10 or 15 and bear the stamp PE/FW (printed for the estate of Francesca Woodman). In addition to its edition number, each print has the catalogue number of the vintage print in the archive. The prints are signed by Betty and George Woodman. 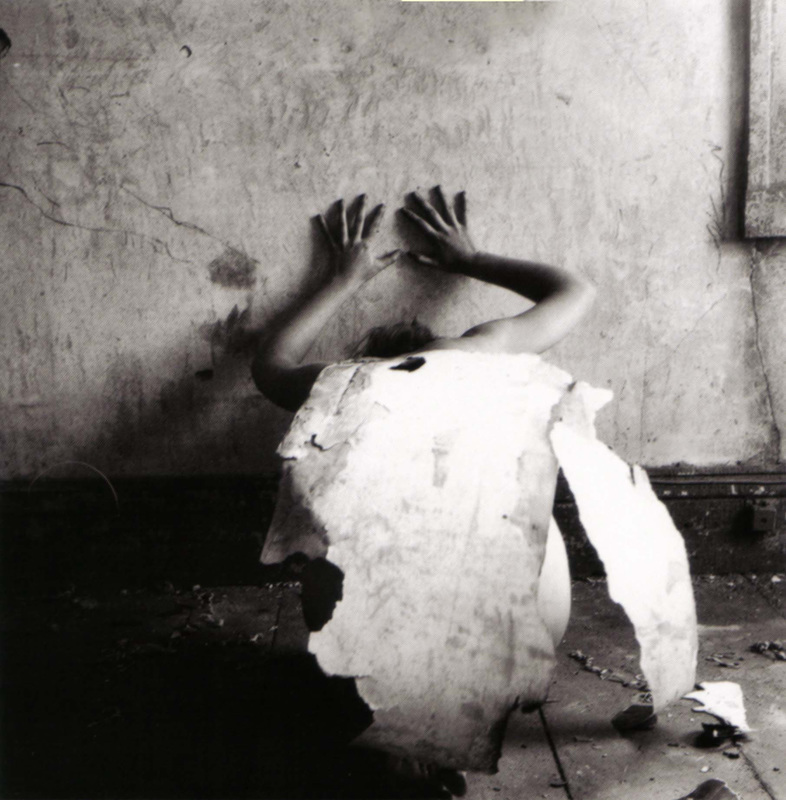 Francesca Woodman left behind more than 800 photographs, which were produced between the ages of 13 and 22. Her work as an artist received a great amount of recognition only posthumously and it is now on display in large international museums. The Guggenheim in New York, dedicated a comprehensive retrospective to her recently. 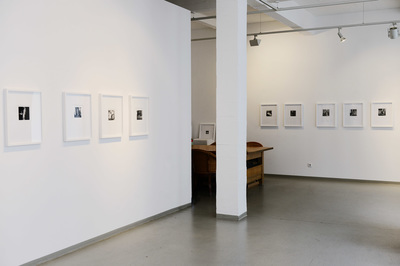 Currently an exhibition of her works titled "On Being an Angel" can be seen in the FOAM Photography Museum in Amsterdam until March 9 2016.